This five-minute animation suggests ways to be more compassionate toward ourselves when we’re feeling critical. In the frantic pace of life, it can be difficult to keep up—and sometimes when we make mistakes or we feel we don’t work hard enough, we leave ourselves in the dust by thinking things like “you’re not good enough.” If we’re not careful, a few harsh words here and there can evolve into excessive self-criticism. This short animation from the London School of Life suggests another way to approach those negative storylines we jog through our minds, as well as the real setbacks we face—like adopting a kinder mindset toward ourselves when we fail, accepting our personal histories that we cannot change, and understanding that our worth is not only contingent on our achievements. Mindfulness allows us to see how we respond to ourselves, and work toward a bond that’s healthier and happier. 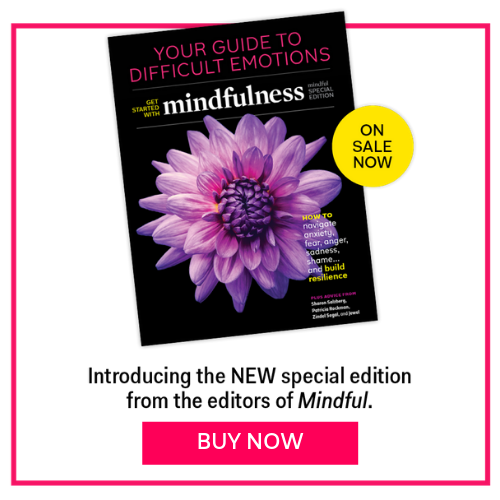 Take a few minutes and try this practice: “5 Steps to a Better Relationships with Yourself” from Mindful magazine.